A Gothic Classic, 4 August 2005 Author: artzau from Sacramento, CA When I see these old attempts at what amounted to a horror film back then, before my time and I'm an old duffer, I'm always struck at the marvelous Gothic quality wrought by the twisted buildings, the gnarled stairways, the open balconies and the weird angles of things such as doorways, arches, street, bridges and the like. The monstrosities are stark, hardly terrifying by today's CGIs and often terrifying their victims in an almost comical, stylized way. 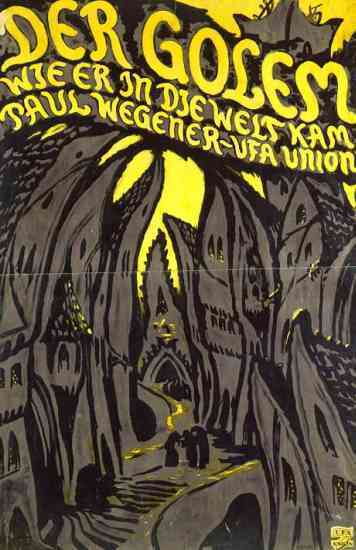 This marvelous film together with Nosferatu and The Cabinet of Dr. Caligari are marvelous pieces of art. There is an ageless quality to them that transcends the hoary and often corny plots and acting. Each must be taken as a whole because that product is always greater than the sum of their parts. Compare the magical Indian Love Call of Nelson Eddy and Jeanette MacDonald, two rather mainstream singers whose voices blend into something greater than either of their individual talents. So too it is, I contend, with these old Gothic classics. Horror? Hardly. But, their starkness and darkness with its twisted surroundings are still eerie and provoking.